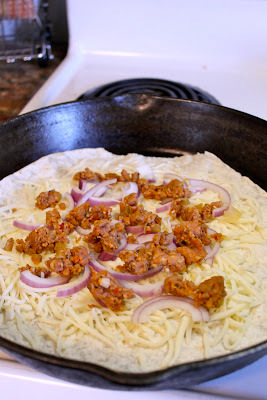 Bossy Italian Wife : Quick Fix: Pizzadillas!!!!!!!!! 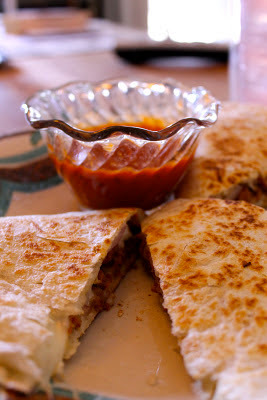 Imagine a quesadilla. Now, imagine a quesadilla with a wonderful pizza twist! Then you've imagined the pizzadilla!!!!! I am super excited about this. One day, several weeks ago, I stumbled upon a picture with a caption that read "pizzadilla" and I was like--HOLD UP, THAT'S BRILLIANT! So I decided to make one of my own. Given my husband's attitude about quesadillas made in the microwave, I decided to use the stove for these. 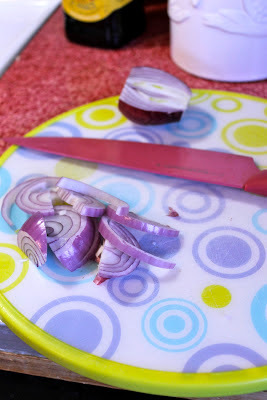 This is a really versatile recipe and you can put virtually any type of fillings in it that you like. 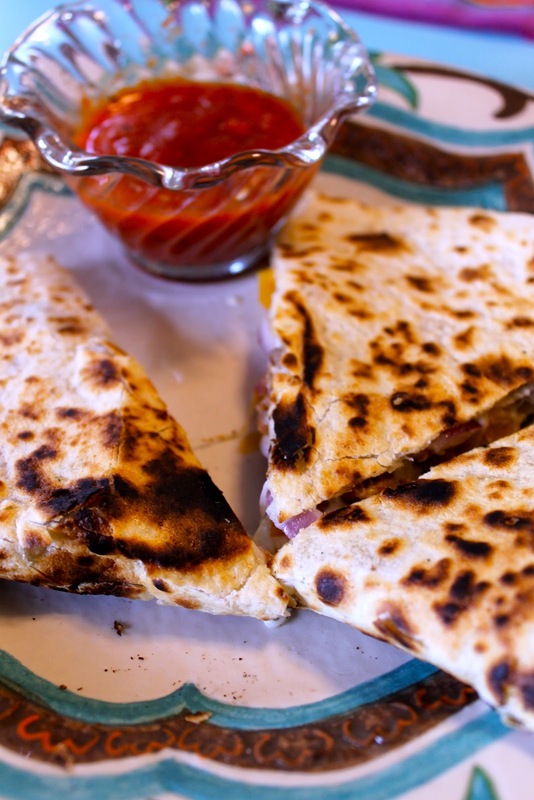 No matter what you stuff in this pizza inspired quesadilla, you will have to agree that this is the perfect marriage between Mexican and Italian inspired cuisine....like a Mexican cousin, of sorts. Two little cups of pizza sauce--for dipping of course! I covered them in plastic and put them in the microwave so they are ready to be heated when I am ready to heat them. Chopped some onions for my pizzadillas. I used my cast iron because nothing sticks to these suckers. 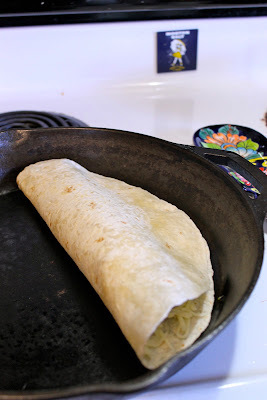 We're going one dilla at a time, so you can make them to order, which was good news for my husband....because he's always making special orders. Put down your cheese--mozzarella of course, because these are of the pizza variety. Don't heat it tooooo fast. Somewhere in the middle is good. I threw on my toppings. Some leftover sausage and onions. Perfect combo. Once the cheese is starting to melt (4-5 minutes) you can fold this sucker over. You want the cheese to be melting so that when you fold it, it sticks. You can flip it and cook it until it's golden on both sides. When it's nearly done, heat your sauce that you've placed in the microwave. 30 seconds should do it. For my pizzadilla, I also wanted to add in some pickled peppers....cause that's how I roll. 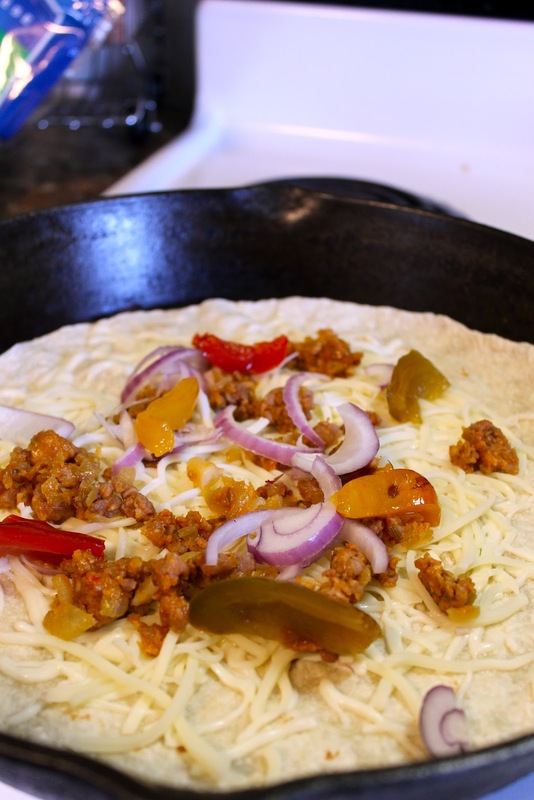 My husband's pizzadilla. Golden perfection and melty melty goodness. My pizzadilla. I burned it a little. But it was still awesome. Time: 12-15 minutes | Serves 2 | Difficulty: Easy as pizza pie! Divide your pizza sauce into two microwave dipping cups. I like to cover mine with plastic wrap, but you can also use paper towels. Place them in the microwave (you'll heat them later). 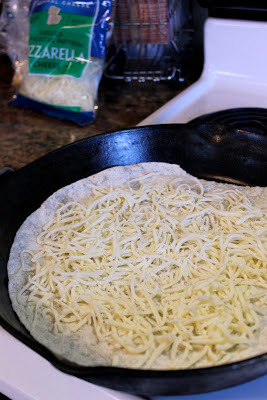 Heat a cast iron skillet over medium heat, place one of your tortillas in the pan and top with half the cheese and place your desired topping on the cheese. Allow the cheese to begin melting (3-5 minutes) and once it does, fold the tortilla in half. Continue to cook your tortilla until golden on each side and cheese is fully melted, another 2 minutes or so. Transfer your first pizzadilla to a plate and cut into three or four slices. You can keep it warm by placing it in the oven. 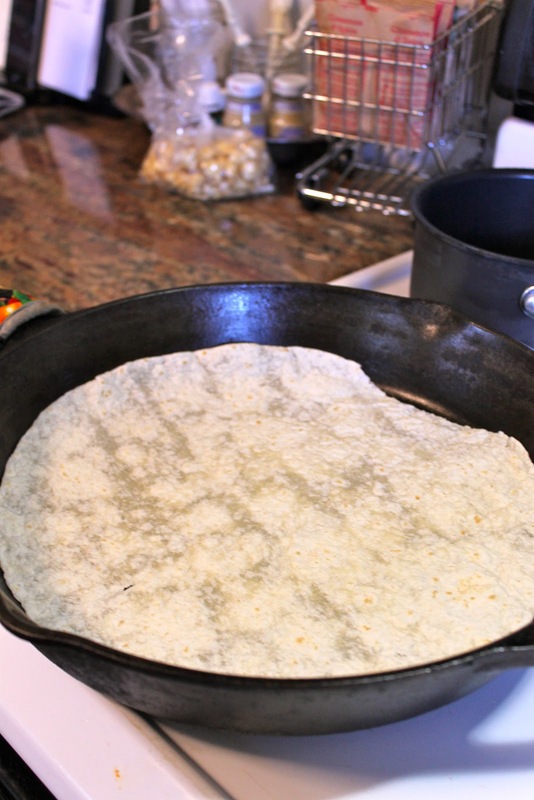 Repeat the process with your next tortilla to make another pizzadilla. In the last minute, heat your pizza sauces in the microwave for 30 seconds. Serve with the dipping sauces and enjoy in good company!!! Uhmmm might have to (definitely will have to) try this over the weekend! !